I finished building my A60 and couldn't be happier about it. The sound is in my opinion beyond believe. I can turn the sound very loud, without destroying the clearness and sharpness in the sound. Once you taste Pass Labs you never want anything else (for me then). I build this amp in about a year, every week I worked about for 5 hours or so. (students life) Inspired by me, I think this project worked out very well. (no drawings) Almost anything is surplus, except the front, the trafo's and the discrete components. 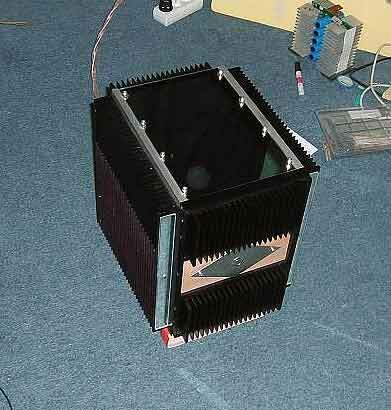 The side heatsinks are 30x32x4 cm, the front and back is per heatsink 10x20x4. I calculated this rough for 30x32=960 cm2 + 10x10=100, 100x3=300. 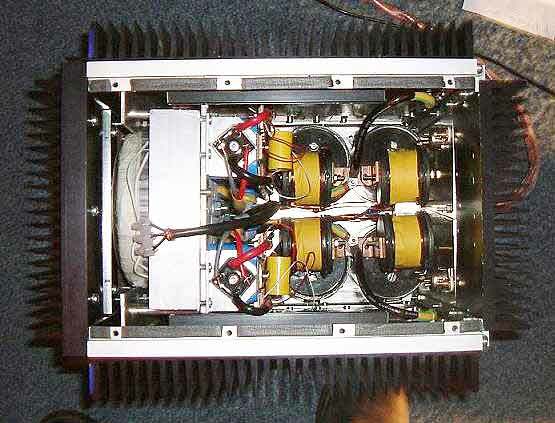 So this is 960+300=1260 cm2 total for 250Watts dissipation. When compared to the project of Marijan which has 1200cm2 for 300 Watts. 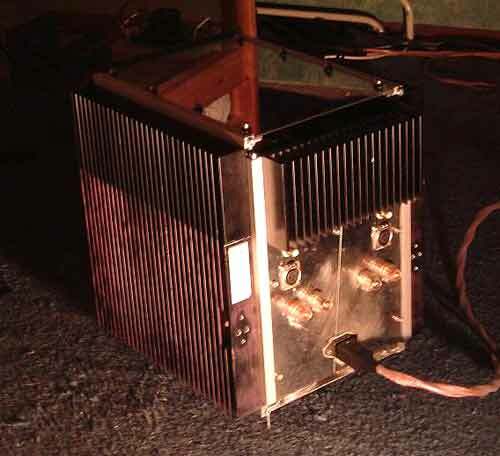 The amp gets warm to about 49 degrees. I also used thick copper plates between the fets and the sinks to have a better heat-spread-connection the the sinks. 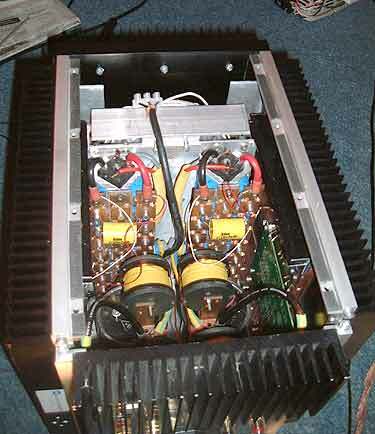 My amp is rather small when comparing to other projects whilst having still 120 Watts of power. The specs of this dual monoblock are: -Baseplate of 20x30cm. -BC Caps total of 130:000 per channel. -49 degrees at 24 degrees celsius. -2x625VA 2x25 Volts Amplimo (fairly slight hum.) unhearable with cover on top. -All 2mm silver teflon wire. -Last weight was about 37 kg (without Spikes, pcb and components) -3 spikes for better heat circulation. -All matched pairs, 55mV dc-offset. -Almost to no humm. -Switch button is used with a flip-flop. -Homemade powers supply cable. (had nothing to do) - Drilled glass plate on the top. The 1 year of work was all worth the effort. Many thanks...to Nelson Pass... May you pass on the next best projects to DIY. Greetz, Remco Blankesteijn. Continueing building!